Through our partnership with the National Archives, Fold3 has scanned and indexed valuable records that help tell the story of the Holocaust. 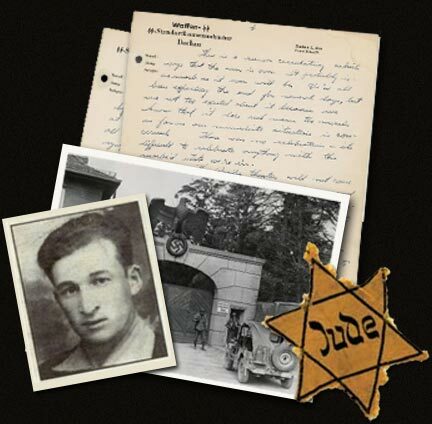 Explore everything from Holocaust-era assets to death camp records to interrogation reports from the Nuremburg trials. Note! We are continuing to add records to our search database. If you didn’t find what you were looking for, come back soon and check again. Explore More on Fold3 Explore over 543 million records. Discover your history. The Ardelia Hall collection includes gathered intelligence reports, interrogation reports, captured documents, and general information regarding Nazi looting. The documents are transcripts—in German—of trial testimony, clemency petitions, affidavits, prosecution exhibits, photographs of concentration camps, etc., as well as original German documents used as evidence in the prosecution of the numerous war crimes cases. The majority of this collection consists of concentration camp records, including releases, transfers and death lists. There are daily reports of changes, as well as some administrative material from the camps. The first Nazi camp created for political prisoners, Jews, and other so-called undesirables. Records feature information including prisoner names and assigned numbers, birth date, birth place, etc. Original records from the camp for political prisoners, criminals, and “asocial” individuals. Lists of those held at what some consider the most physically brutal concentration camp of the Nazi regime. Pre-trial interrogation transcripts as well as summaries and other pertinent records for nearly 200 individuals who were questioned by the Interrogation Division. Records relating to monuments, museums, libraries, archives, and fine arts of the Cultural Affairs Branch, OMGUS, 1946-1949. Records of the American Commission for the Protection and Salvage of Artistic and Historic Monuments in War Areas, 1943-1946, is also known as the Roberts Commission. USACA - German External Assets Branch New This title includes a wide range of reports, records, and correspondence relating to banks, businesses, shareholders, and individuals with German affiliations during World War II.